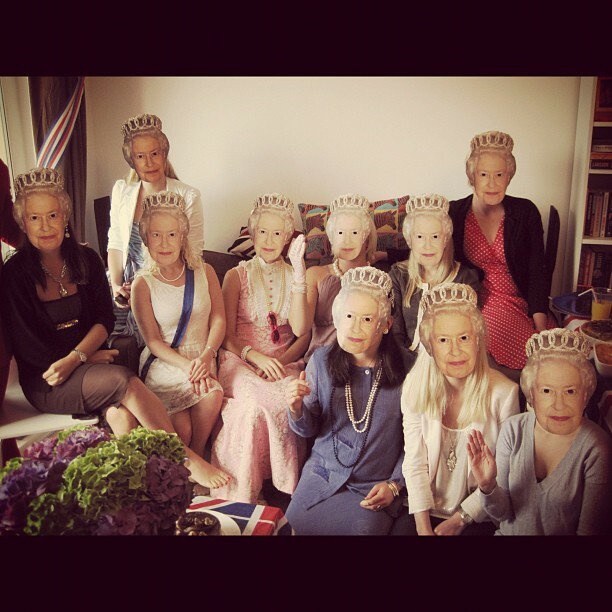 This Weekend marked 60 years that the Queen Elizabeth has reigned over England. 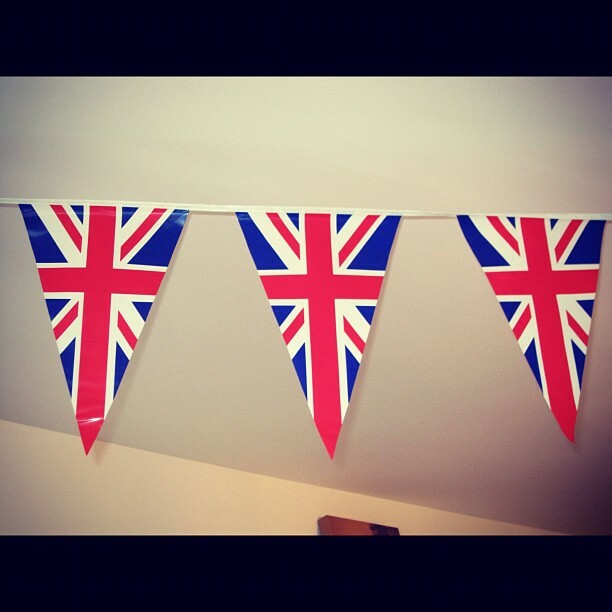 And I, along with most of the UK got completely swept up in the Diamond Jubilee celebrations! 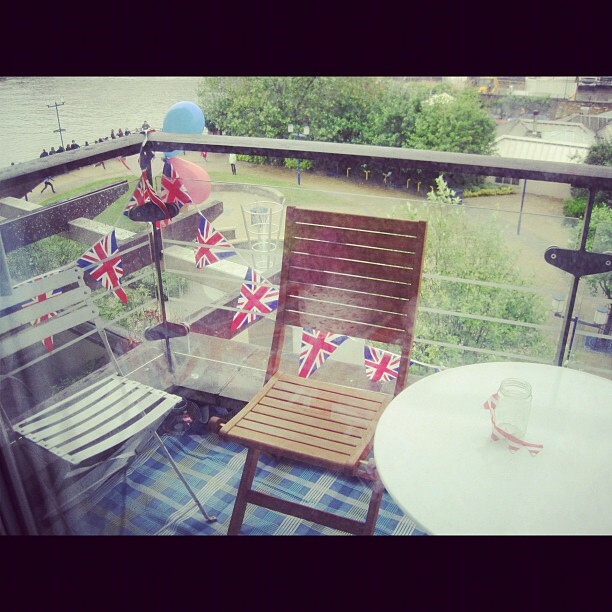 On Sunday, we invited a few friends over for Brunch and to watch from our balcony, some of the 1000 boats that made up the flotilla, go down the Thames. 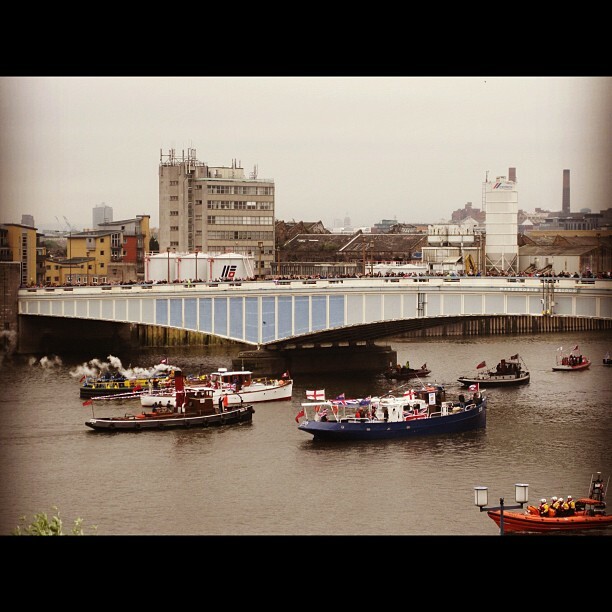 A few of the boats going past. 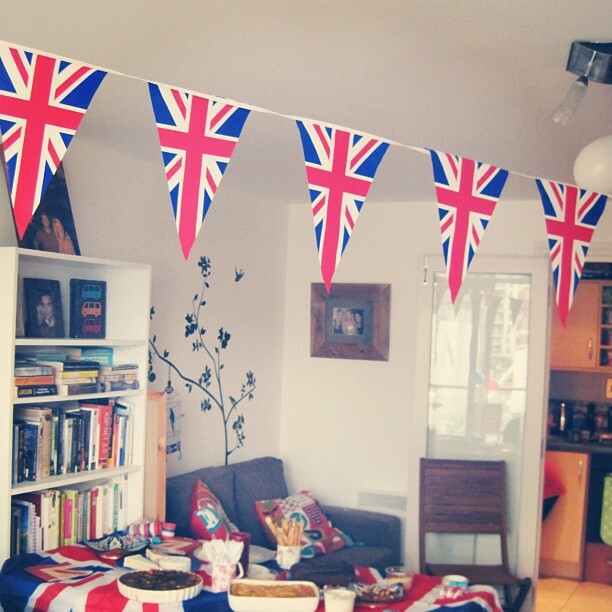 We decorated the lounge and went all out on the bunting, and Union Jack paraphernalia. 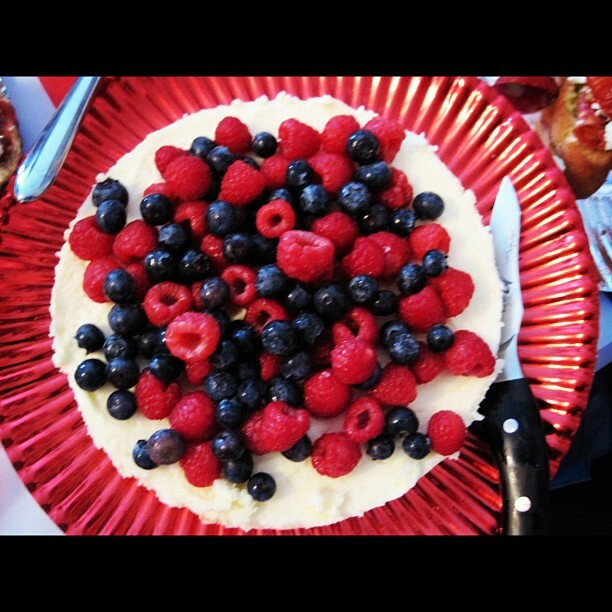 Everyone brought one sweet and one savoury dish. And we had a feast! 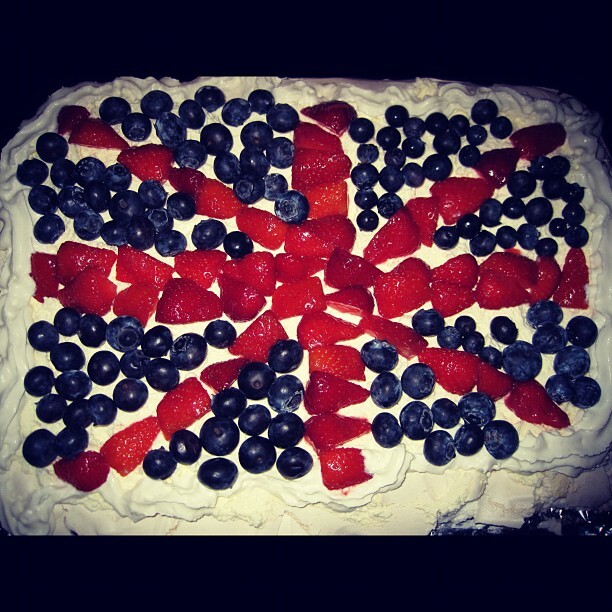 We made a Pavlova and decorated it with berries, again with the Union Jack inspiration. 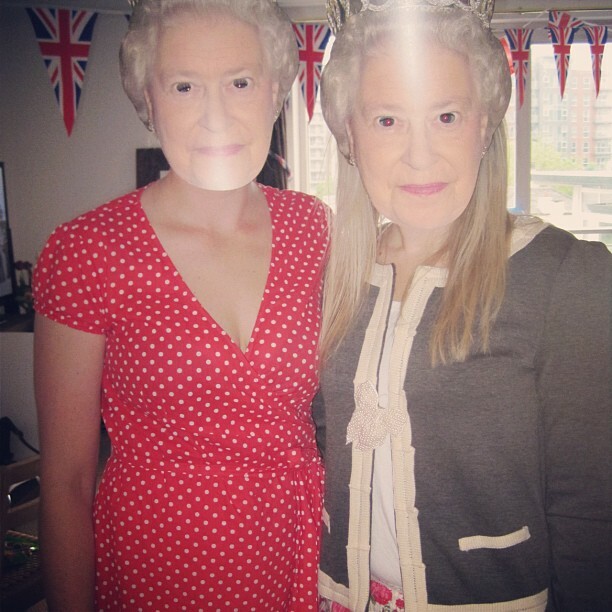 Upon arrival, everyone was given a Royal Mask, and these proved to be hilarious! 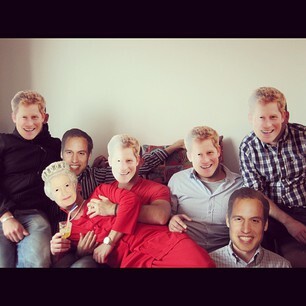 The Boys, with Darryn as the Queen! 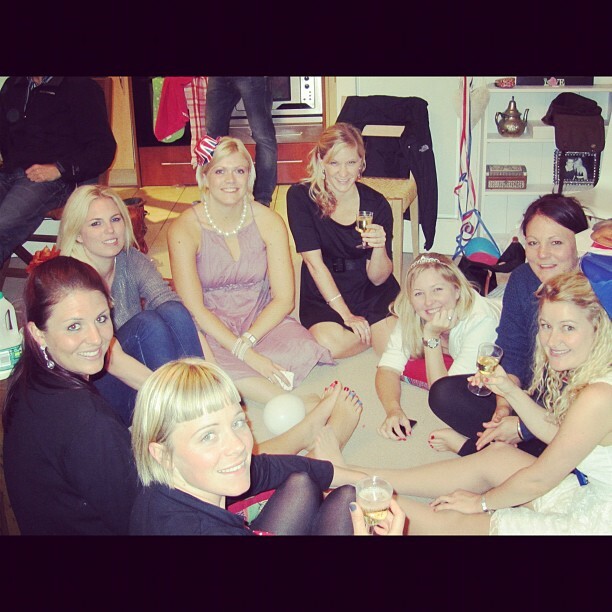 Relaxing after lots of eating, drinking and boat watching! Last night we watched the Concert on TV. And then today, we lined the streets with thousands of others to watch the Royals go past in Carriages. The Queen, without her husband as poor Prince Phillip is in Hospital. 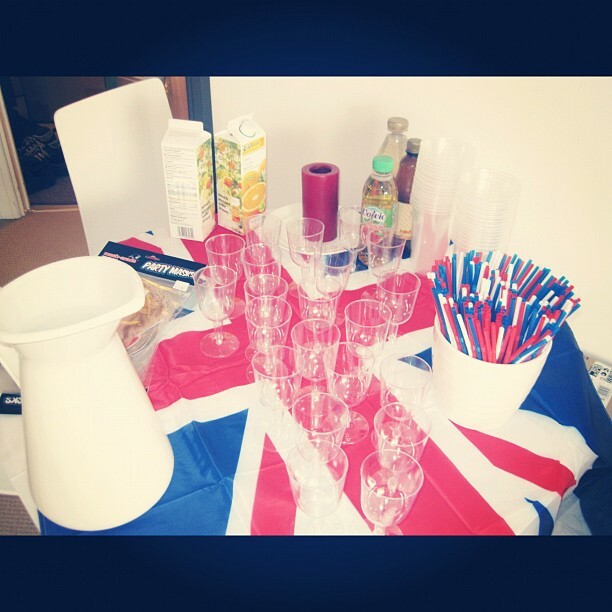 South African girls living in London and feeling very Patriotic! Thank you to all my fabulous friends for making it such a wonderfully fun and Happy Weekend. 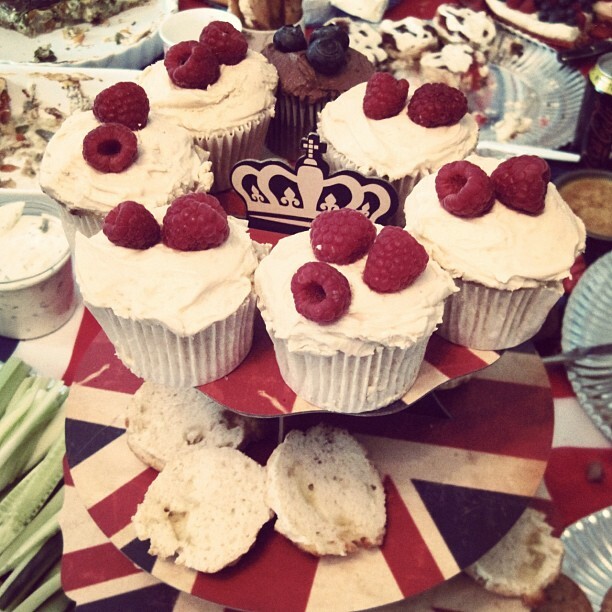 And Congratulations to the Queen on her Diamond Jubilee!